"URL redirection, also called URL forwarding, is a World Wide Web technique for making a web page available under more than one URL address. When a web browser attempts to open a URL that has been redirected, a page with a different URL is opened." 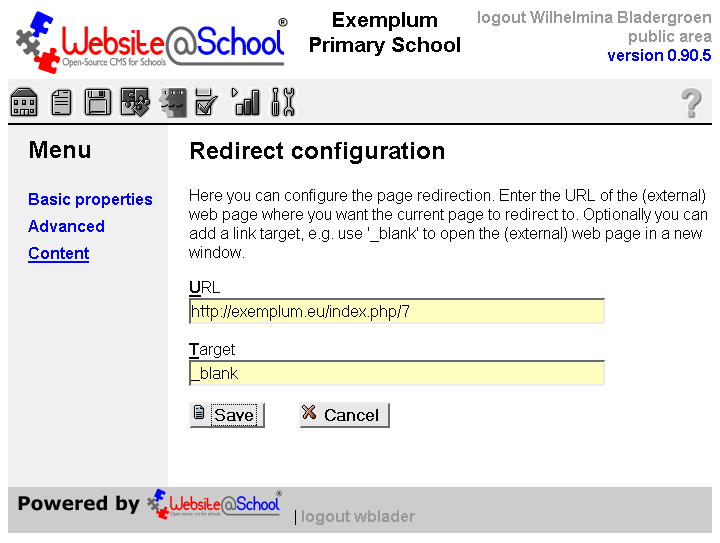 For example, http://exemplum.eu is redirected to http://www.ourschool.org/example/. The Redirect module has no visible properties. 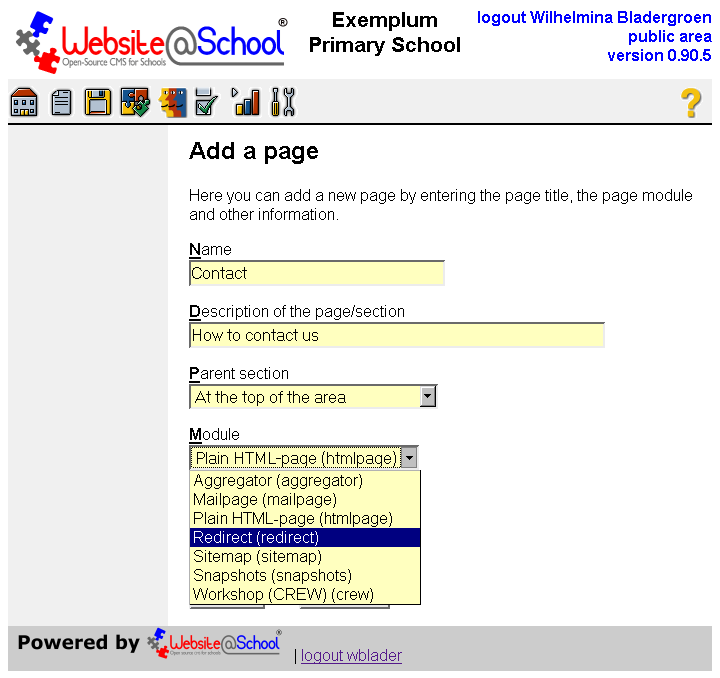 In the demonstration data the module cna be seen in action when clicking on contact in the top links of the Exemplum Primary School. You are redirected to the section School info, on the Mailpage. This demonstrates the redirection. Here you can configure the page redirection. Enter the URL of the (external) web page where you want the current page to redirect to. Optionally you can add a link target, e.g. use '_blank' to open the (external) web page in a new window. Target: The target attribute specifies where to open the linked document. The target value '_blank' opens a page in a new window or tab. More information on available values can be found on http://www.w3schools.com/tags/att_a_target.asp. Just one: check the URL.